learn to dance | 5-6-7-8 Dancing My Way to a Healthy Me! News Flash! Air Conditioned Studio keeps students cool! — both partner dancing and line dancing! I really had a great time teaching last weeks class! You guys rock! The fun continues this week. And there is still time to sign up for the Special. 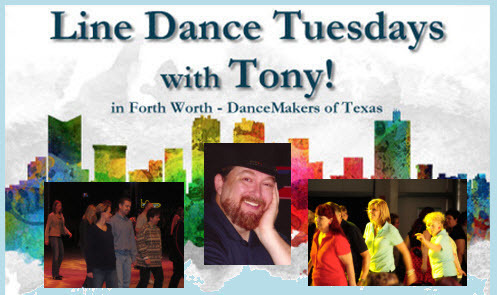 OR you can, if you choose, sign up for only the line dance class. Either way, I’ll see you in class on Tue, July 12th at 6pm! Woot! Drop-ins Welcome! Save money by signing up for the Summer Special or by paying for an entire month of classes.